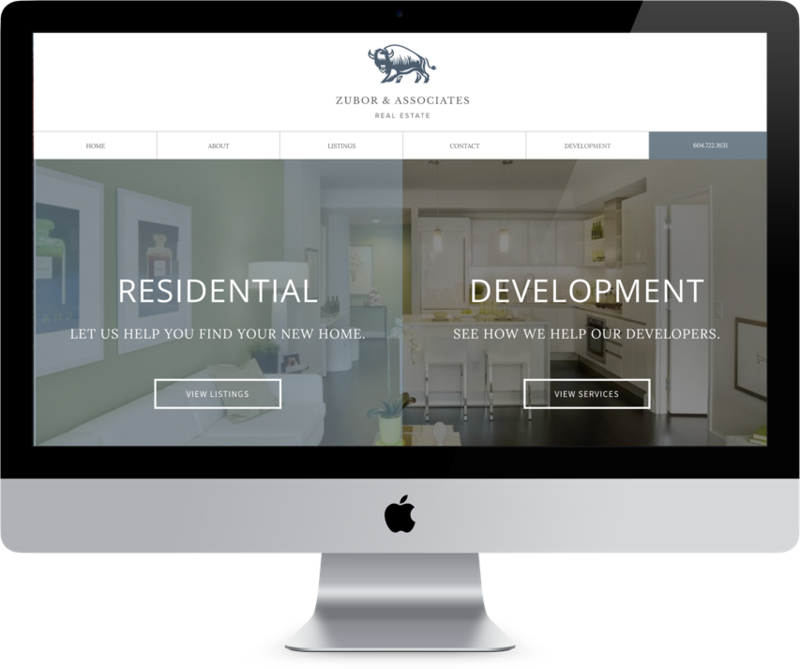 Sean Zubor and his team wanted to show their great work ethics, great teamwork, and a solid foundation in the real estate industry. 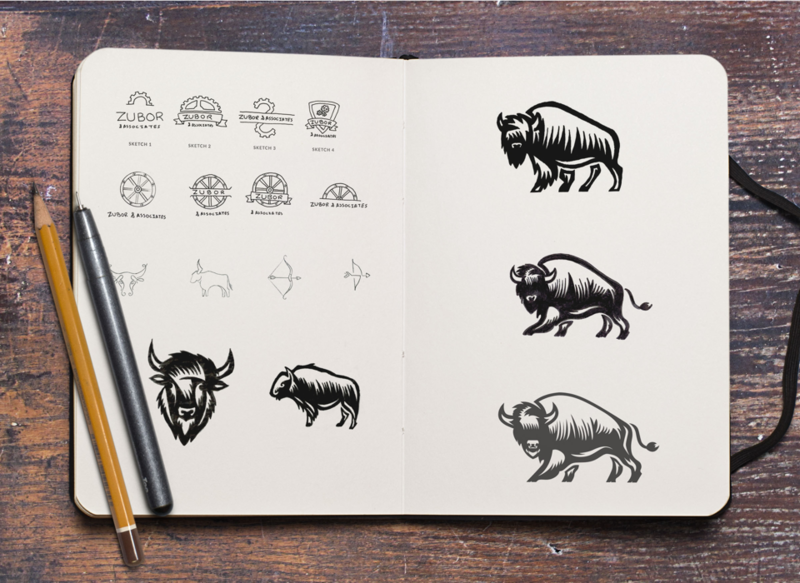 Many branding concepts were suggested – from gear wheels to a Z symbol illustrated. The final chosen candidate, as presented, is a bison – a sturdy West Coast wild animal symbolizing Western Canada. 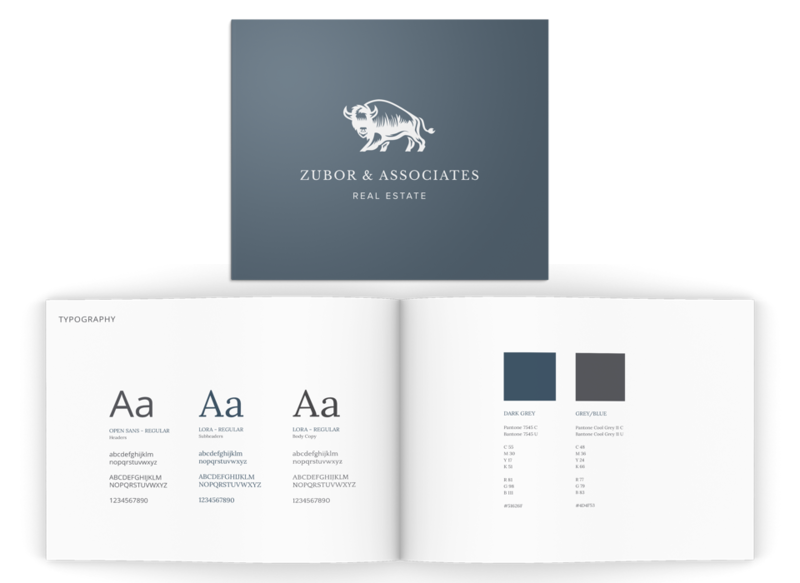 Avoiding the cliches of house roofs or kep shapes and bringing a different style of unique creativity is what our real estate branding services are all about. 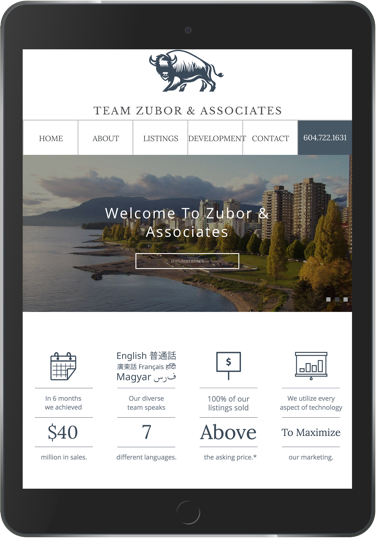 Focused on their result-oriented approach to put customers and their financials first, the Zubor team’s website was created with stats/infographics as the forefront, as well as an impressive team roster to show the rapid growth of the group. With MLS® listings thoroughly and well presented through dropdowns and other links, it also aims to entice more Google visits and leads. 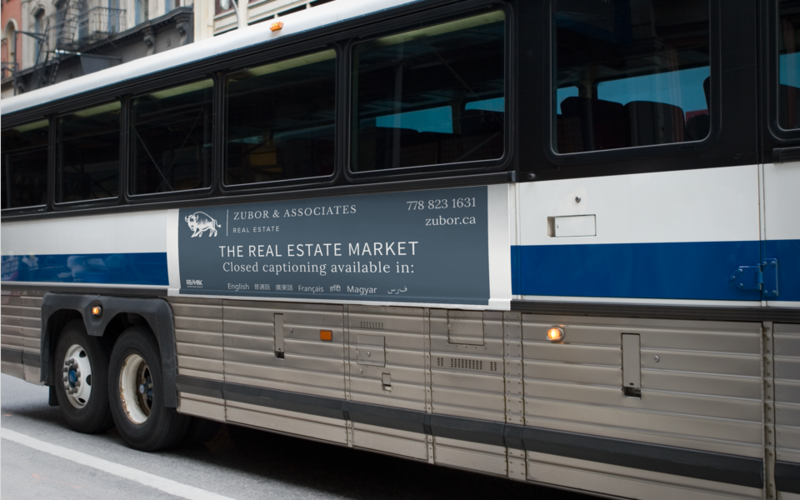 A stunning brand deserves all the acknowledgement – we helped design & produce banner ads for buses, tradeshows and other medium all across town. 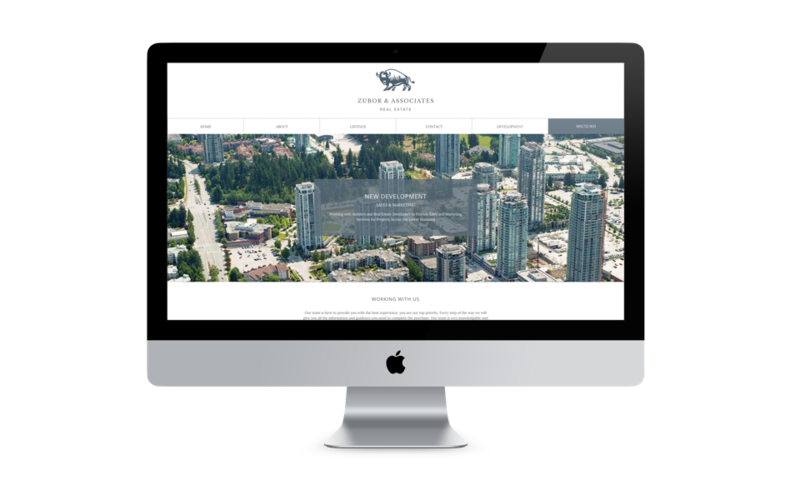 Unique brand design + constant presence online + consistent displays offline is a golden recipe for real estate marketing in a competitive world.